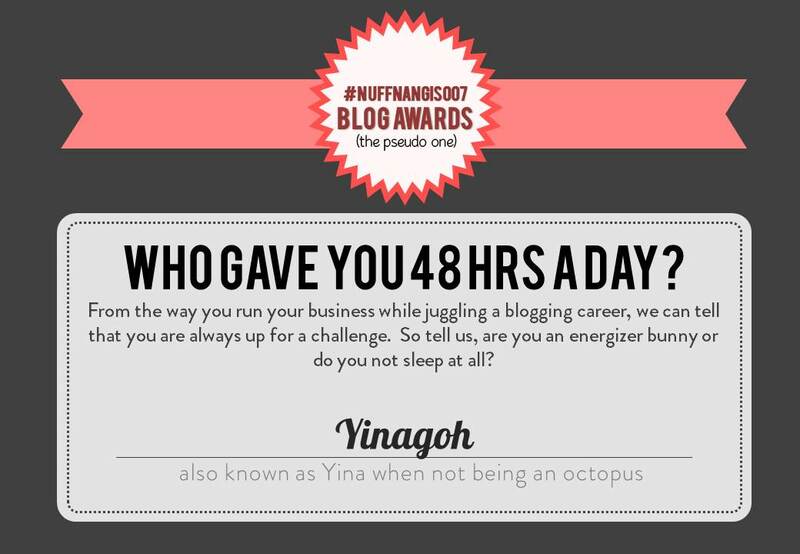 Nuffies refer to the staff working behind the scenes, while Nuffnangers refer to our bloggers. 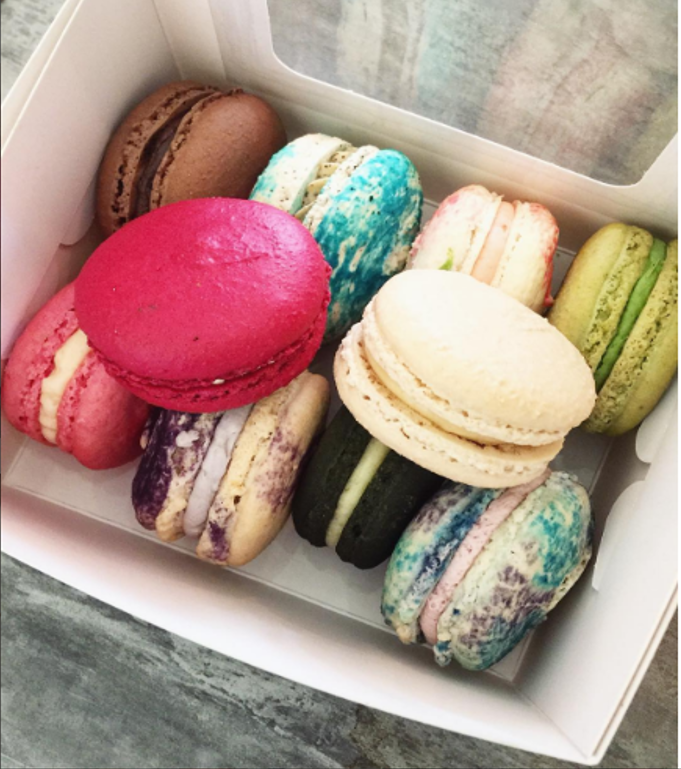 Don’t mix them up! Nuffnang.my was our first website launched on 27th February 2007. 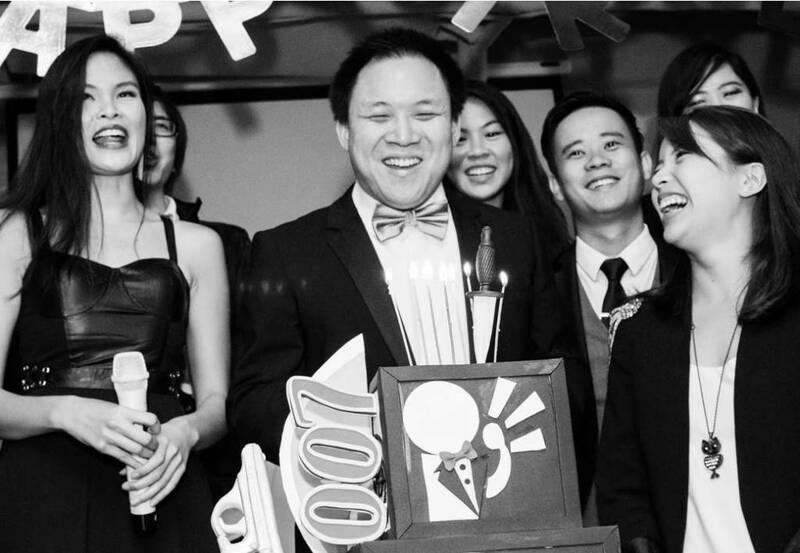 The launch time was 2.30 a.m because a fortune teller had told Ming that it was the ‘most prosperous’ time to launch Nuffnang. Our first birthday bash was known as the Pajama Party. 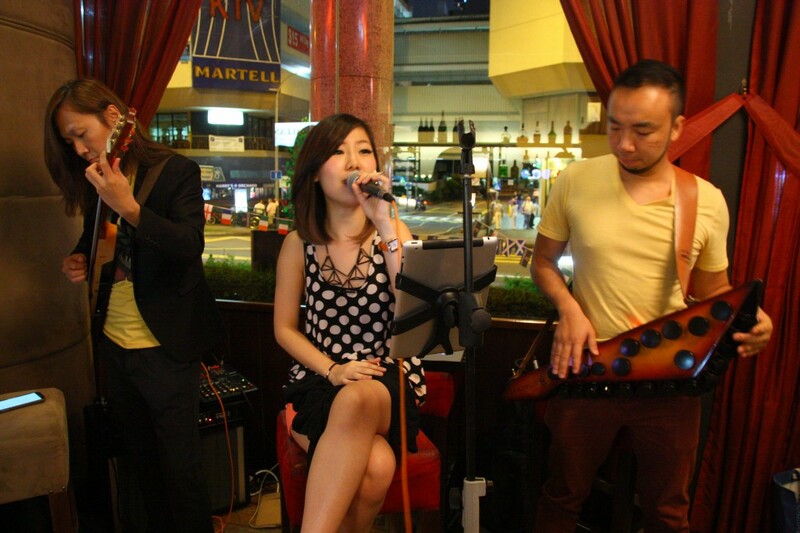 Timothy and Ming first met across a Pussycat Dolls concert. 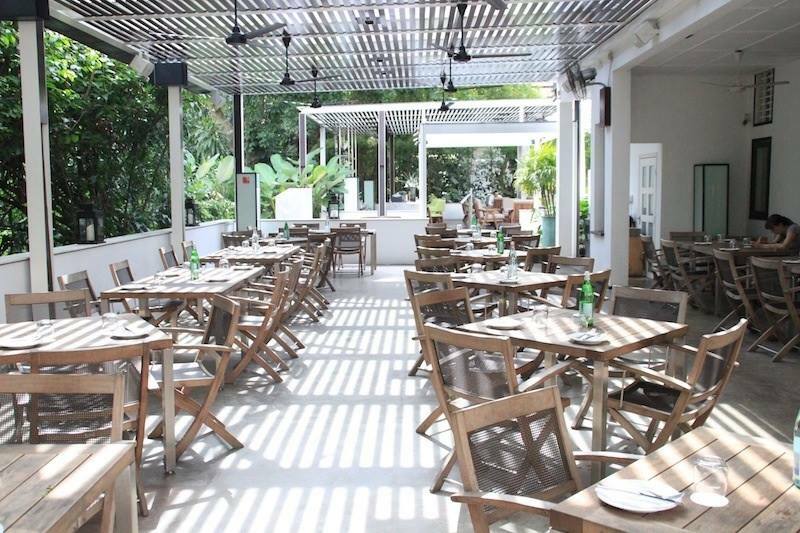 Escape the hustle and bustle and enjoy alfresco dining at Da Paolo Bistro Bar located at Rochester Road. 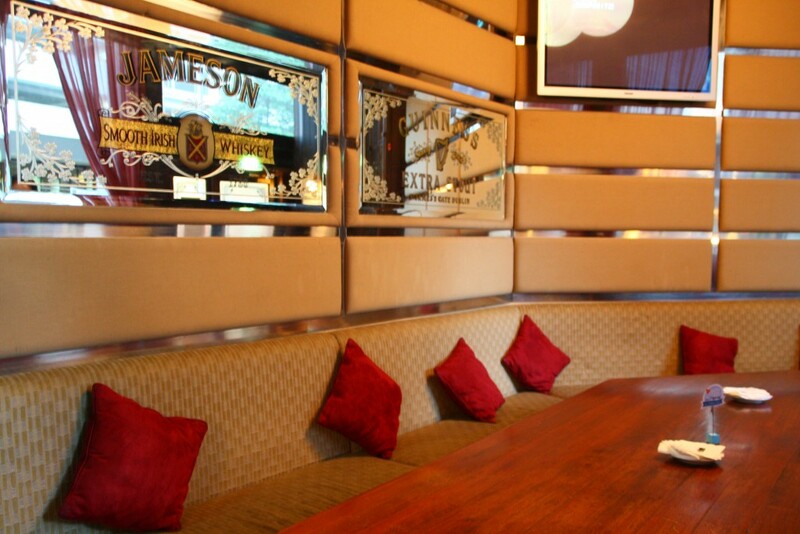 The stylishly laid back environment and exceptional cuisine makes this an excellent choice for events and celebrations. 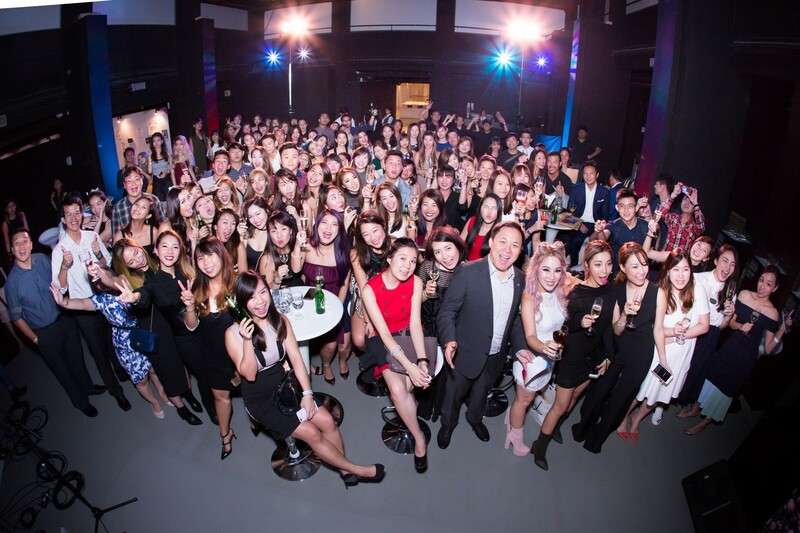 Touted as one of the best photobooth in Singapore, Hello Stranger uses only the best professional studio lighting and camera systems available. Photos in a flash, instant prints in a flash – Hello Stranger preserves the moments in history for you. Butter Studios is a Halal Certified bakery that currently has 3 outlets island-wide. 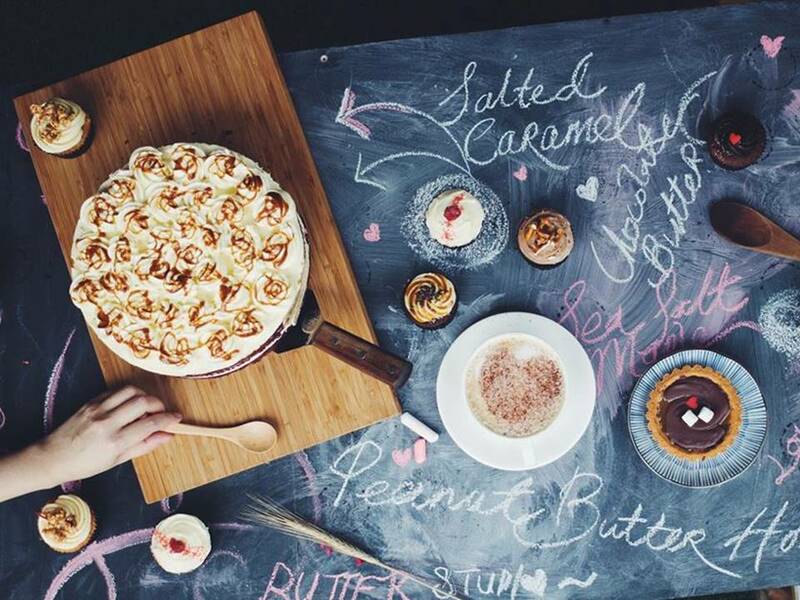 From local classic delights such as salted Gula Melaka cupcakes to the usual fan favourites of red velvet cakes, Butter Studios boasts of bakery goodness that is bound to satisfy anyone’s sweet tooth. Just look at the beautiful set up and decoration done up by Assemble Happinest! 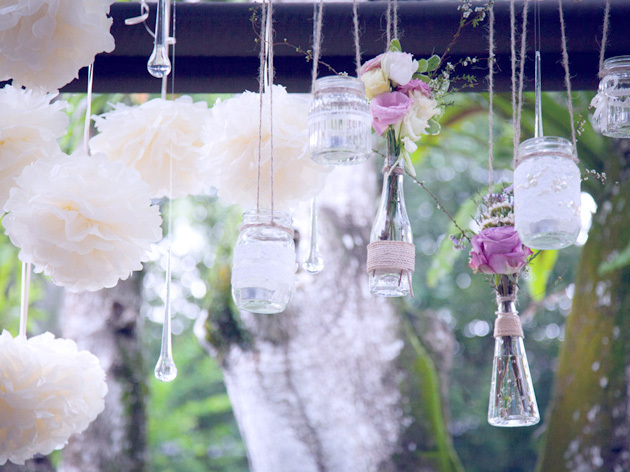 Assemble Happinest decorates the venue with lush and fresh flowers according to theme, providing the perfect backdrop to kickstart your special day. 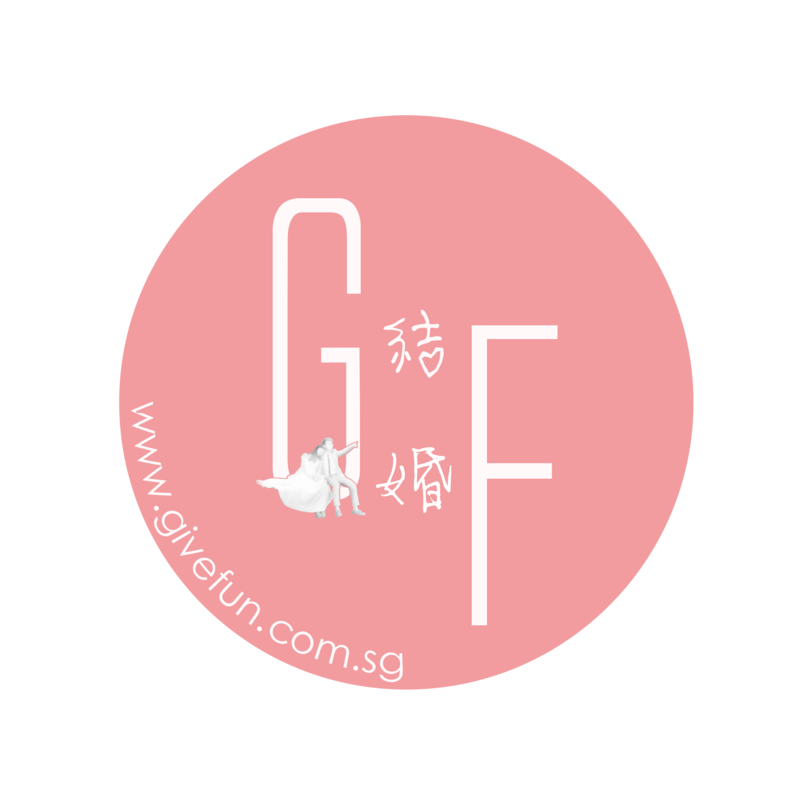 Whether is it planning for wedding, events or parties, you are in safe hands with Give Fun. 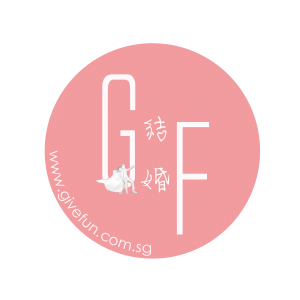 Providing creative and fun decorations for all types of special occasions with a diverse product range, Give Fun was set up with the humble aim of ‘giving fun to the people’. 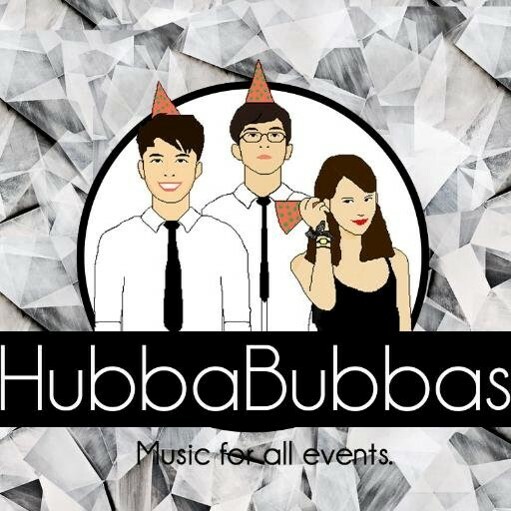 A popular act known for its live performance, HubbaBubbas is a 3 piece acoustic band based in Singapore. 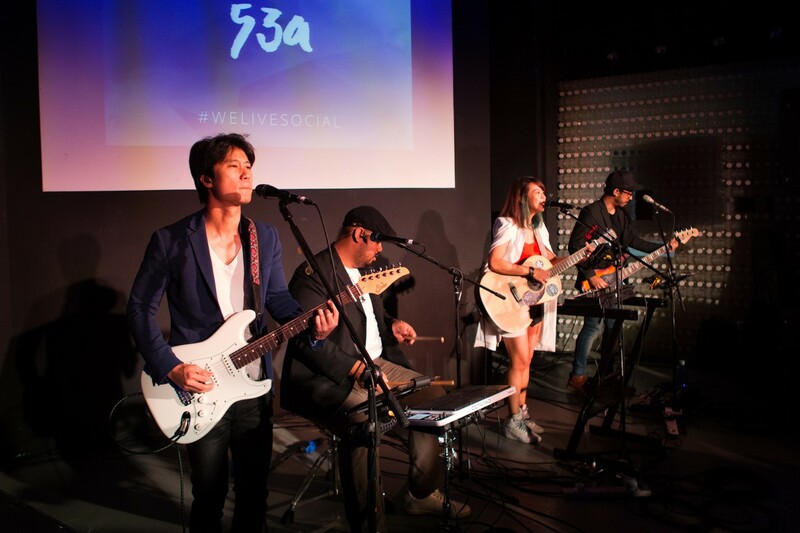 The power packed trio delivers electrifying energy and great vibes on stage, performing songs ranging from R&B, Pop, Hip-Hop to Jazz. 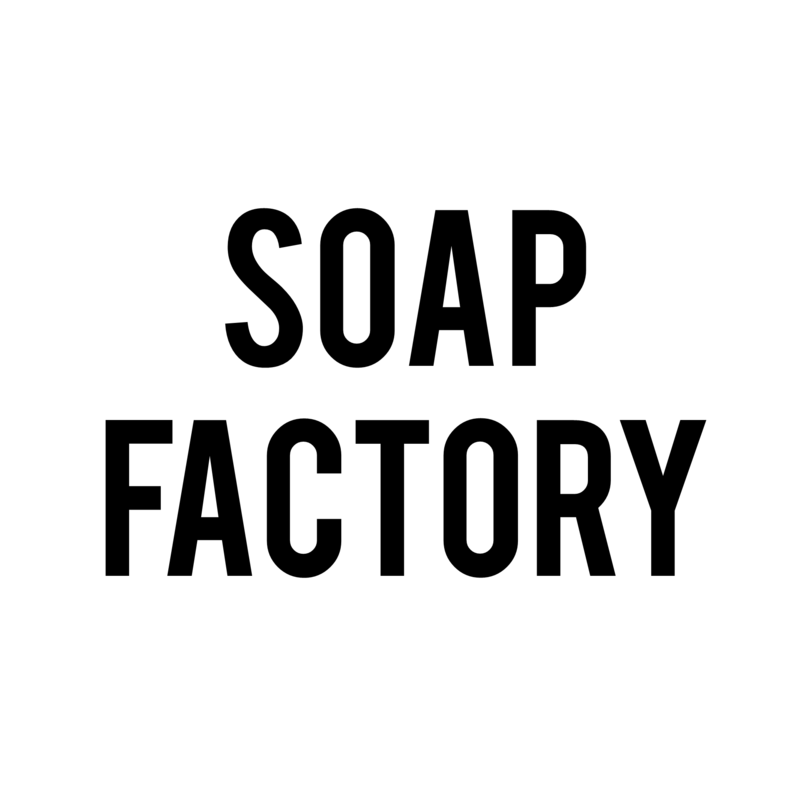 Soap Factory is all about fun-loving soaps, lip balms, body lotions and organic liquid soap making lessons. 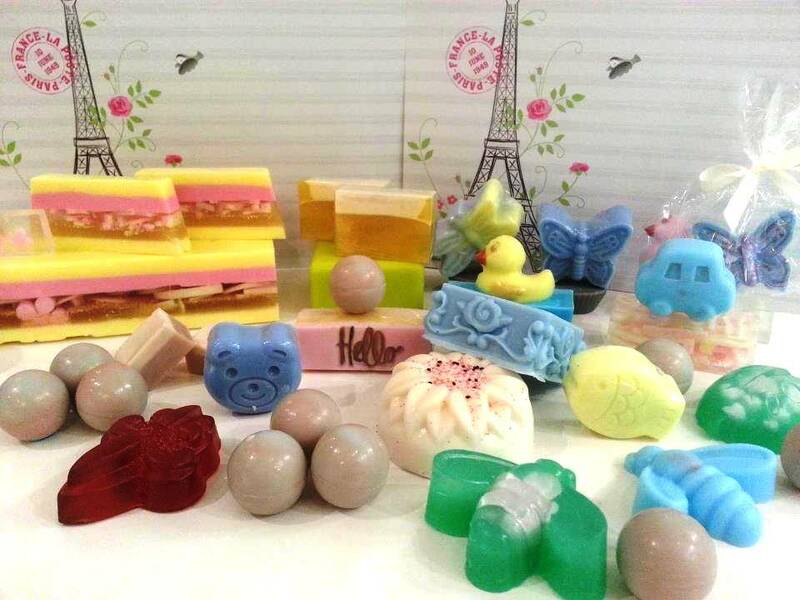 Besides learning how to custom make your own soaps with a variety of designs to choose from, gentle ingredients such as natural shea butter, goat milk and aloe vera soap bases are also used for the skin. This year, the Nuffnang team has put together an exclusive box of 8 essentials; daily necessities for every blogger in their blogging journey. 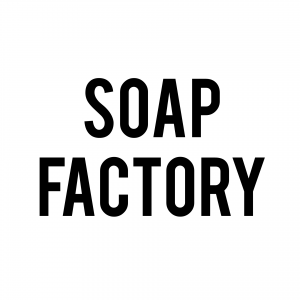 Ranging from eye masks to electronic toothbrushes, it’s the box that covers each and every need, and this was only made possible by the help rendered to us by our lavish sponsors. 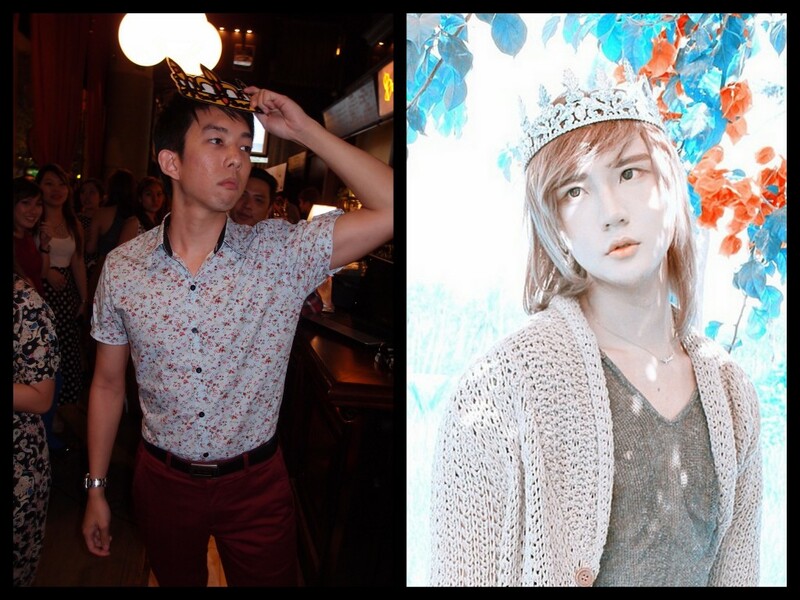 With the official birthday bash happening less than a week from now, the party gears have already been set in place and we are ready to conquer the weekend! 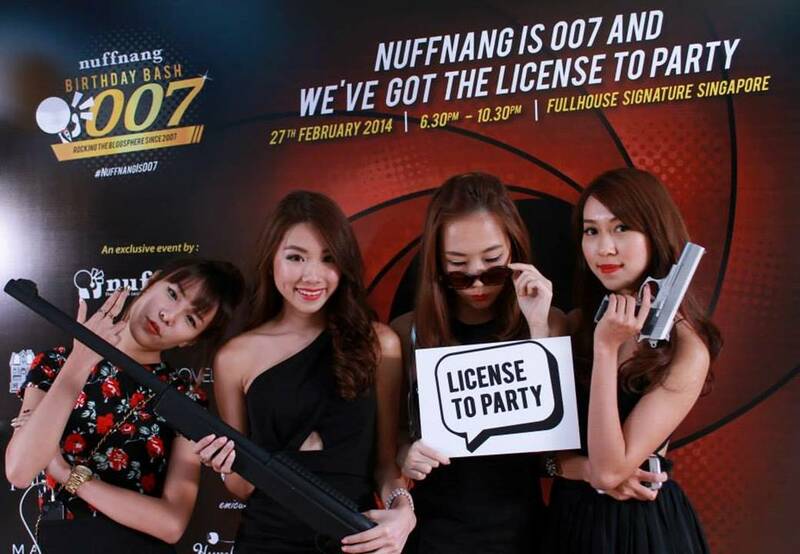 #NuffnangIs007, And We Got The License To Party! 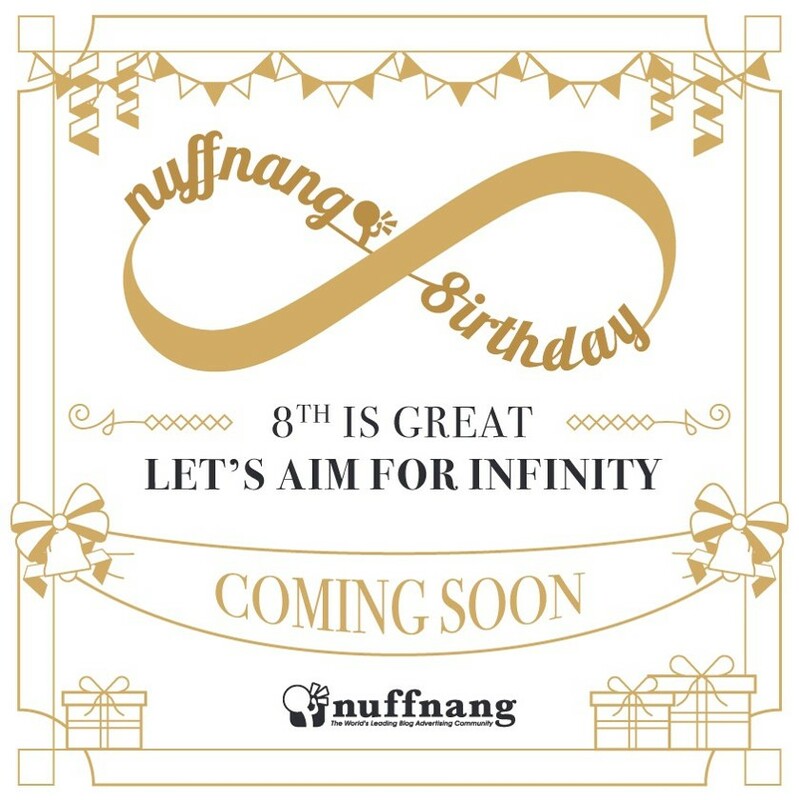 As with the past 6 years, we celebrated Nuffnang’s birthday on 27th February. Call it superstition or sentiment, but we think some traditions, like this, should not be broken! 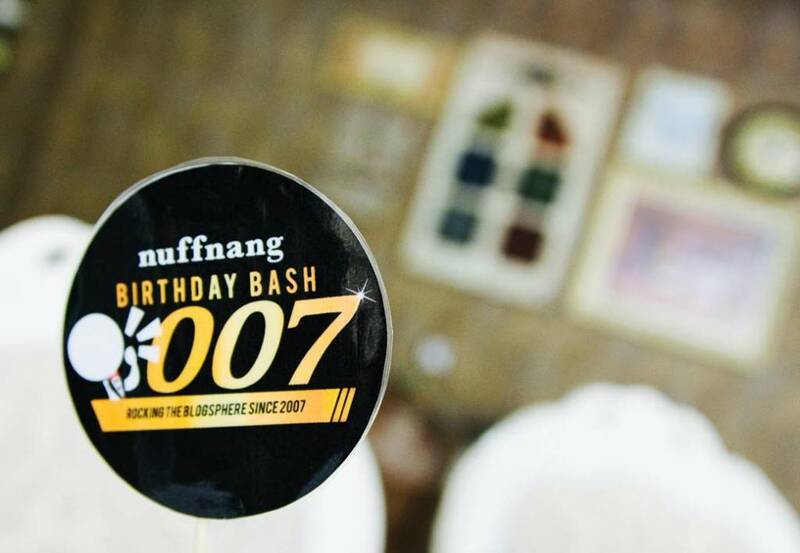 Because we are celebrating our 7th birthday (anniversary sounds too formal and boring for awesome people like us), the teams from all the Nuffnang offices in the region unanimously came up with the theme of 007 the moment we were tasked to start planning for the big day. 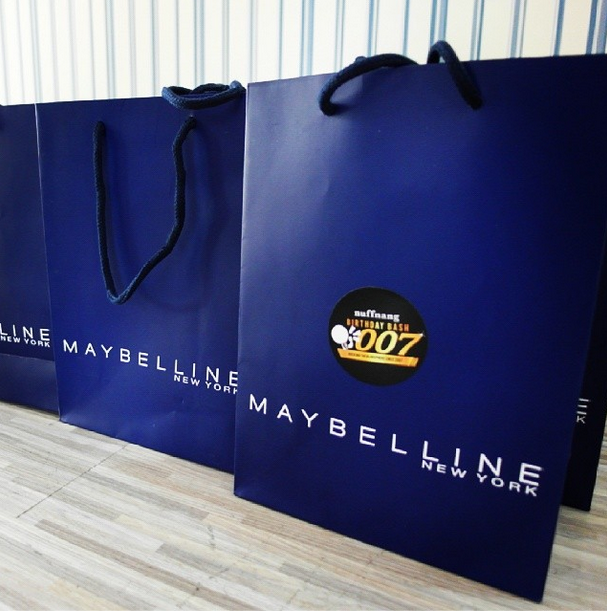 We made sure our bloggers got to walk away looking even better than they arrived with make up products from Maybelline and travel-sized skincare products from Philosphy. 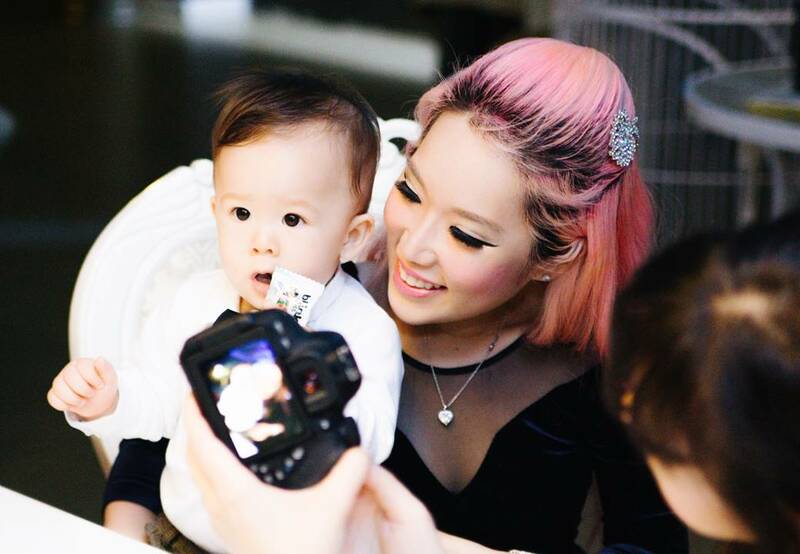 And because we know that bloggers enjoy taking photos more than anything else (it’s all about capturing happy moments especially birthdays! 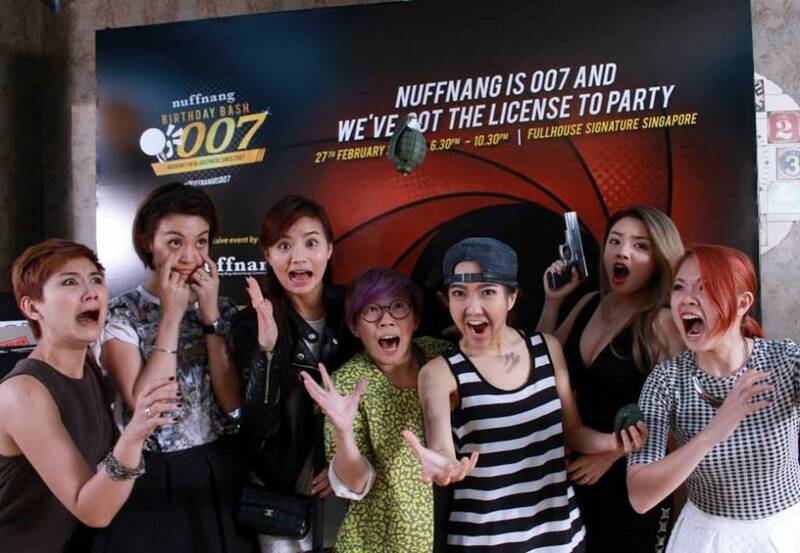 ), a photobooth was set up by La Novella Studio, complete with Instagram print outs whenever someone uploads a photo with the hashtag #NuffnangIs007. If you were to ask us, we think that no event is complete without some awesome music so luckily for us and the local music fanatics amongst us, Diya and Carrie (also known as 插班生 The Freshman) made an appearance at the event and kicked start it with an eclectic line-up of music, consisting of their own songs and covers! 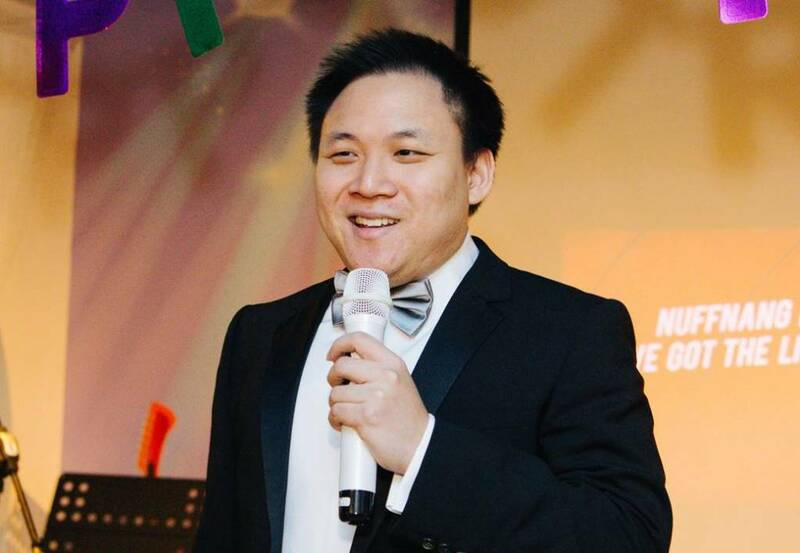 After their performance, Boss Ming also gave a touching speech which he claimed he didn’t prepare for, but we were all left touched and inspired after his speech. 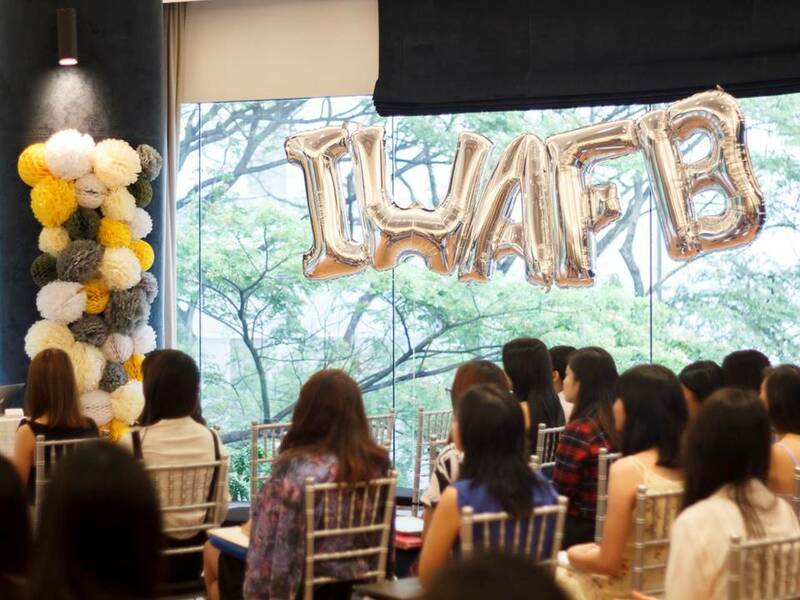 You can read the extended version of his speech on this very touching Dayre post he wrote after the party. 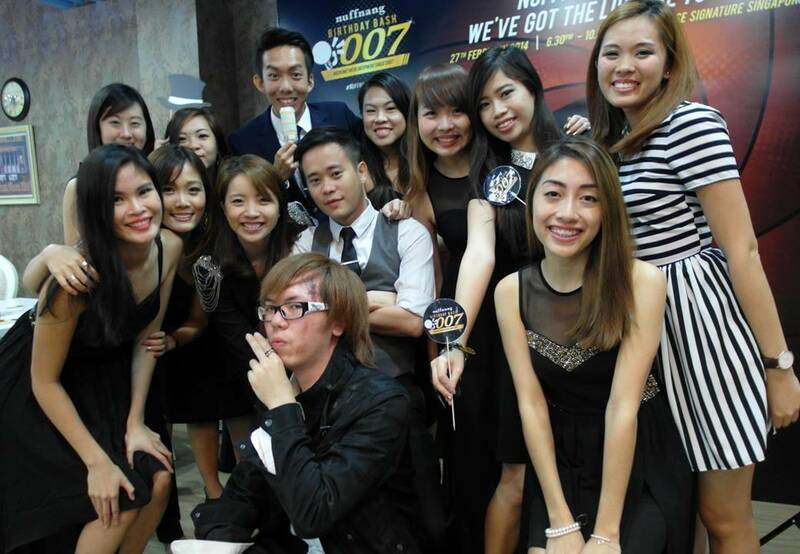 We are not very sure making us well up with tears is a good idea especially since we had some activities planned for the night, but other than ensuring that the bloggers are all fed, we also had iDarts Senso specially bring down one of their dart booths to bring out the secret agents in us. 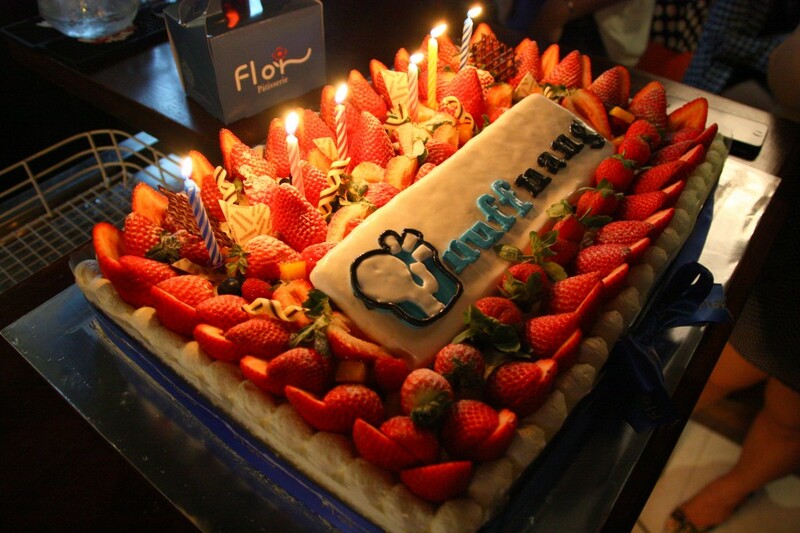 It IS a birthday cake! 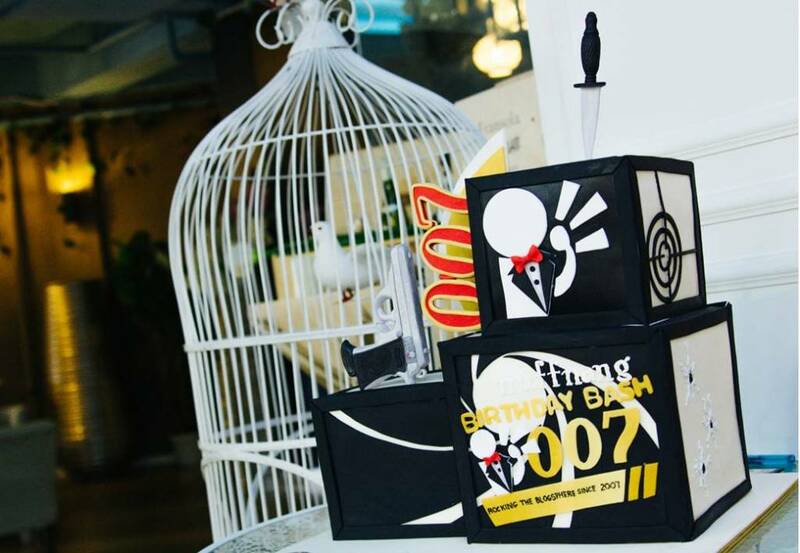 This 3-tier fully-customised cake in 3 different flavours (Chocolate Truffle, Pure Addiction and Black Forest) was beautifully crafted by the skilled hands of the bakers (we think they should be called artists!) 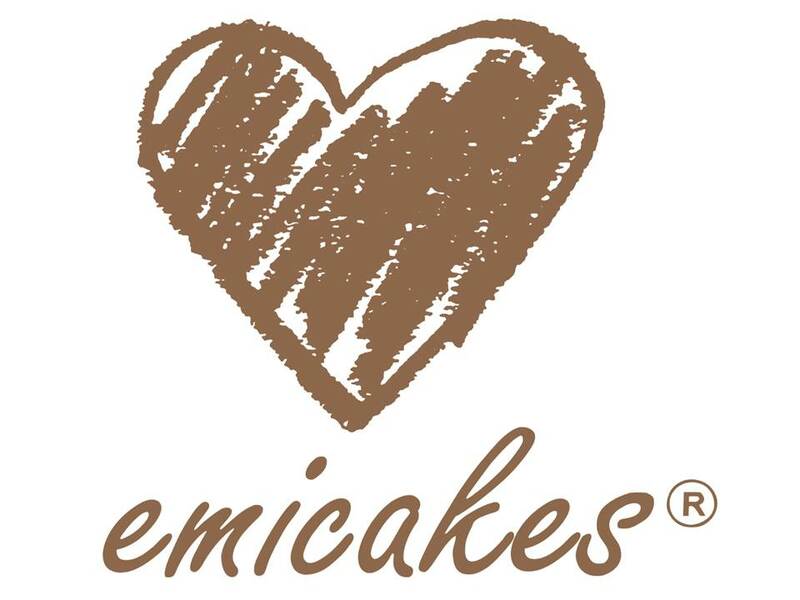 of Emicakes. 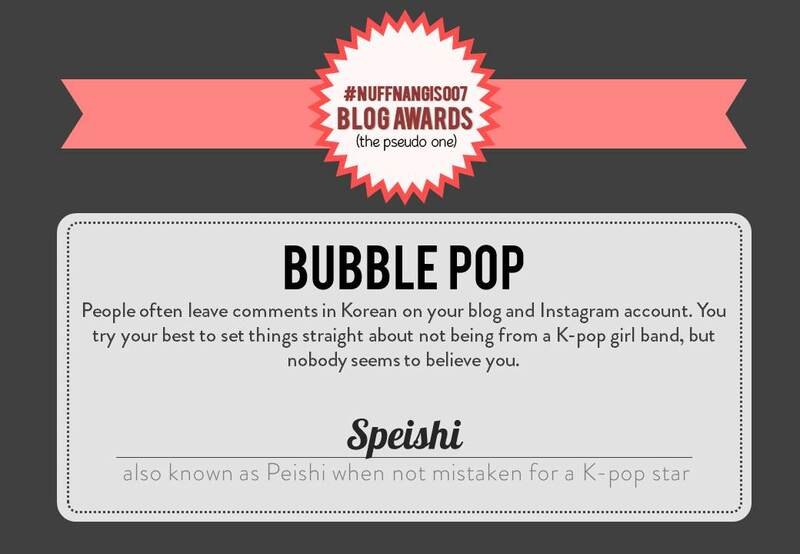 We even had a Pseudo Nuffnang Blog Awards since many bloggers have been asking about the NAPBAS. 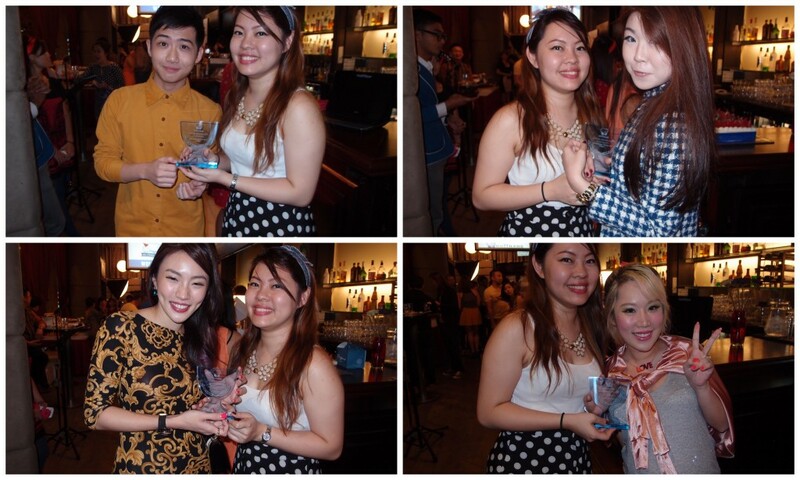 Here are the winners and their well-deserved trophies and certificates. 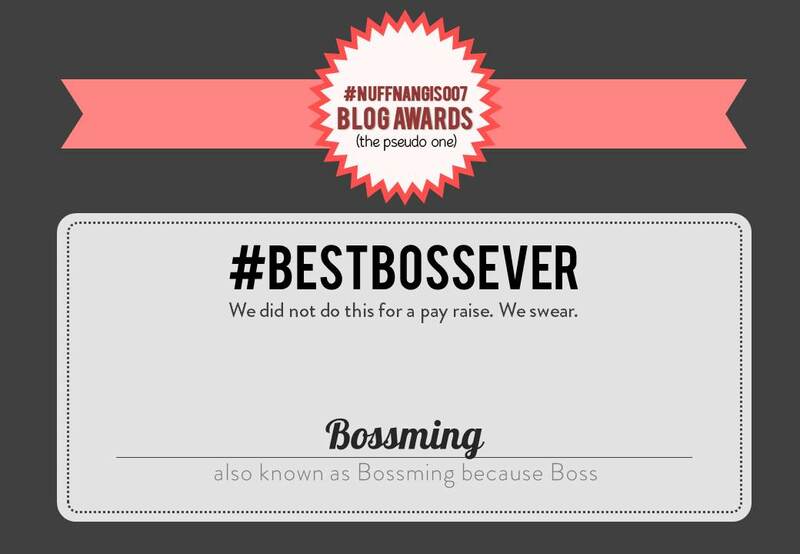 We also sprung a little surprise on Boss Ming and gave him an award for being one of the coolest bosses around! 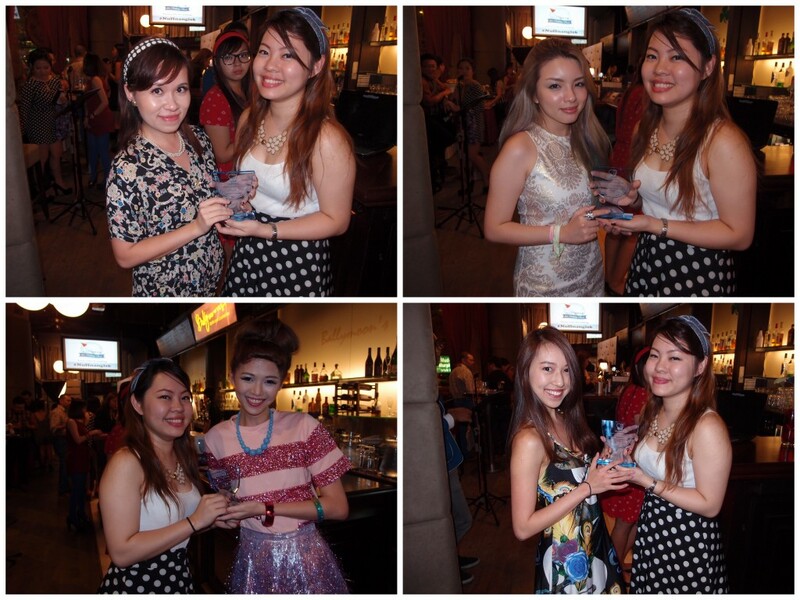 Special shout-out to one of the biggest stars of the night who was dressed so close to the theme we couldn’t help but present her a special impromptu Best Dressed (or not) Award! Yes, this is Juli, the beauty (well, the other kind of beauty that day) and brains behind beauty blog Bunbunmakeuptips dressed up as a bandit, complete with facial stubble. 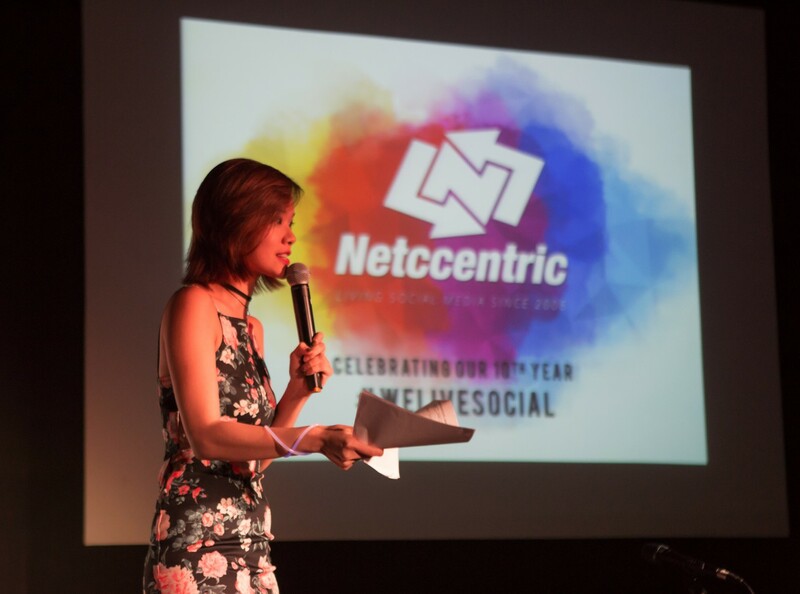 The team would like to take this chance to thank the bloggers and Nuffnangers who have stuck by us the past 7 years as we work towards a bigger and better 8th year that’s coming up. 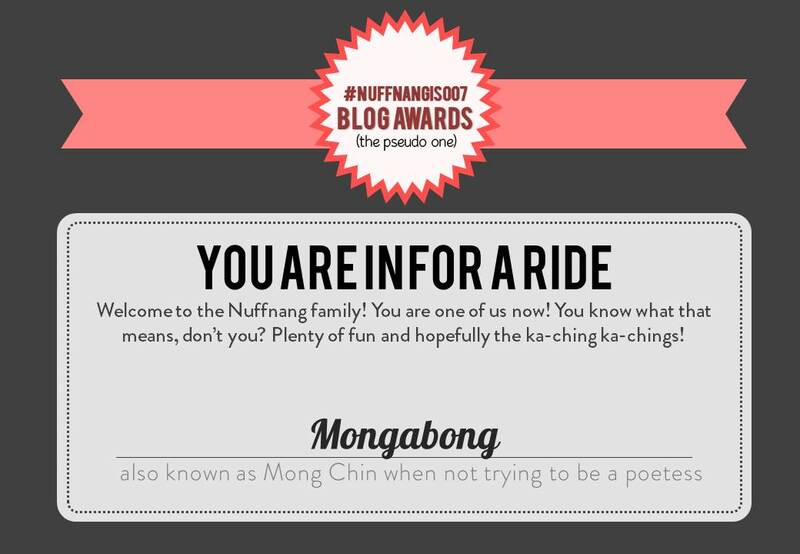 Like what Boss Ming said, Nuffnang is not only about the Nuffies, but it is about you, the Nuffnangers too! Thank you for the your support, and the community team would love to meet each and every one of you (yes, all 60,000 of you!) 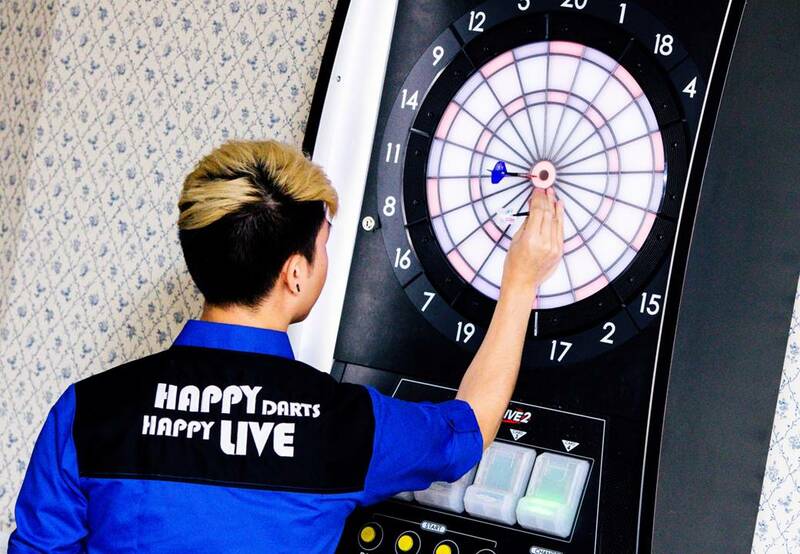 at future events! 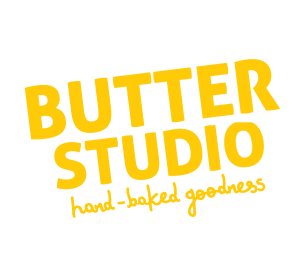 Do follow us on our various social media accounts (New Facebook page, Twitter, Instagram) for the latest updates and keep your eyes peeled on this space for upcoming blogging events, contests and the likes! 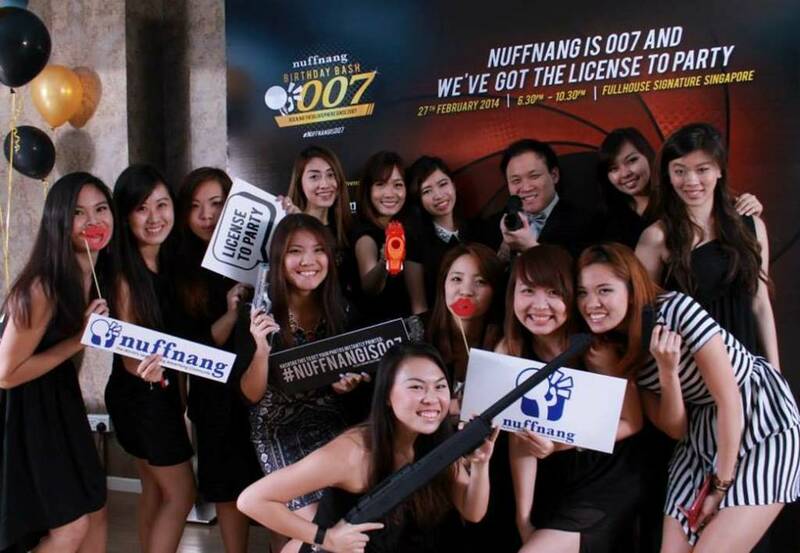 Win invites to join us at #NuffnangIs007! 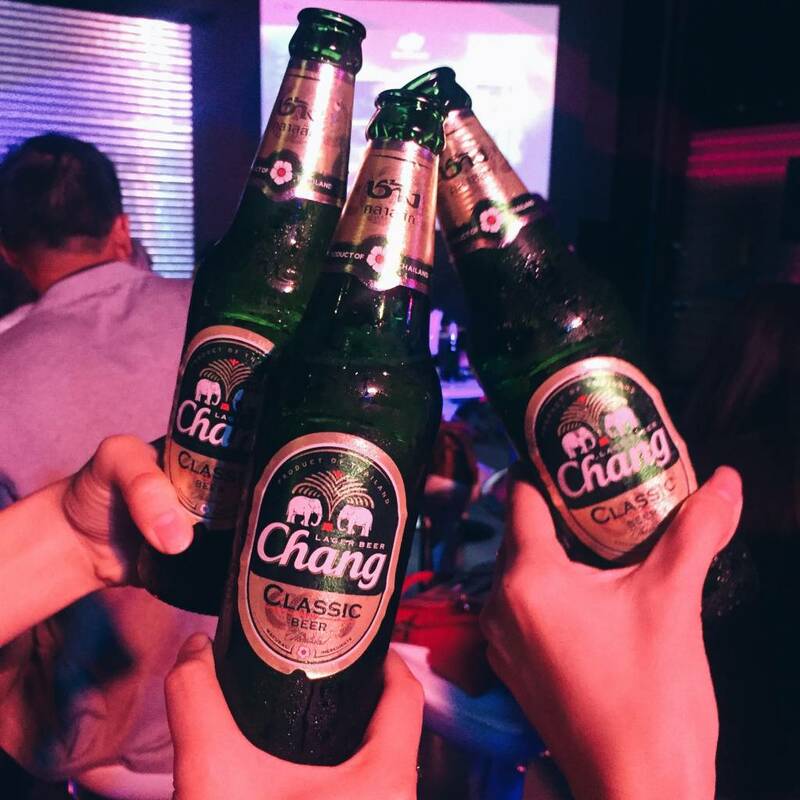 Christmas, New Year and Lunar New Year might be over but the party doesn’t stop at the Nuffnang office! 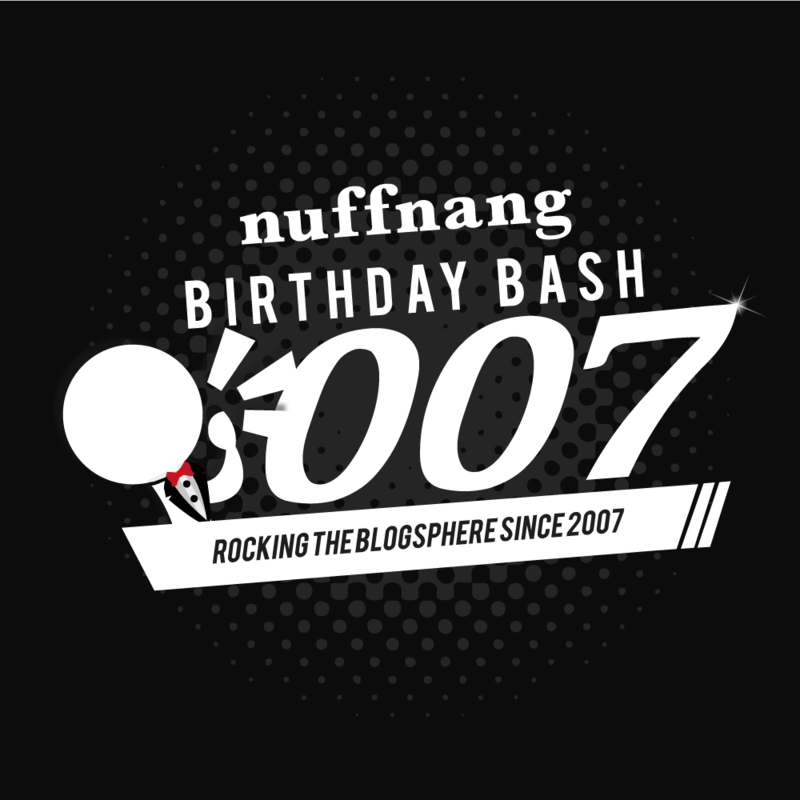 Come 27th February, Nuffnang will be turning 7 years young, and we would like to invite you to join us at this annual event. 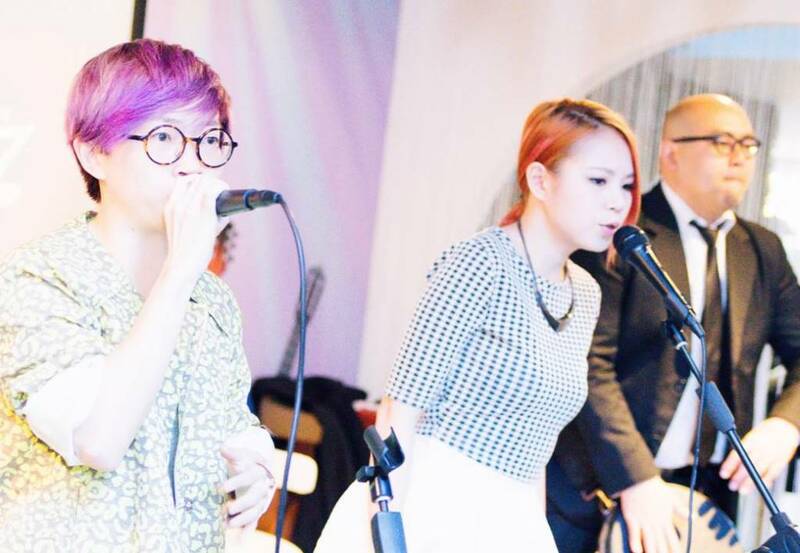 Expect an evening of good food, photo-taking (of course), music, special performances and FUN! 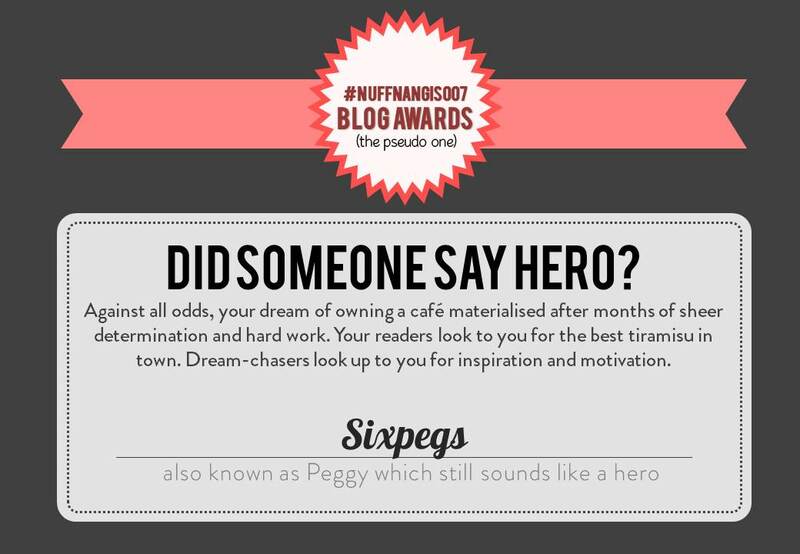 Submit your blog entry permalink and your personal details in the form below by 23 February 2014, 2359! 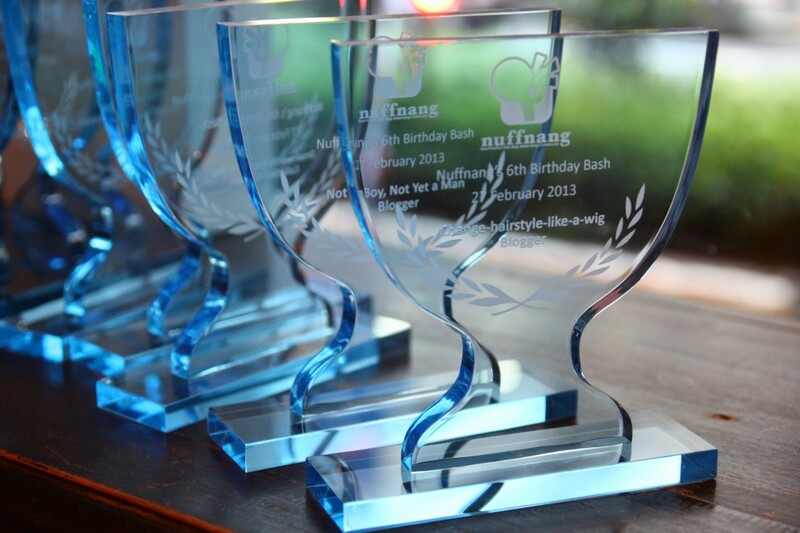 Shortlisted winners will be contacted on 24 February 2014. 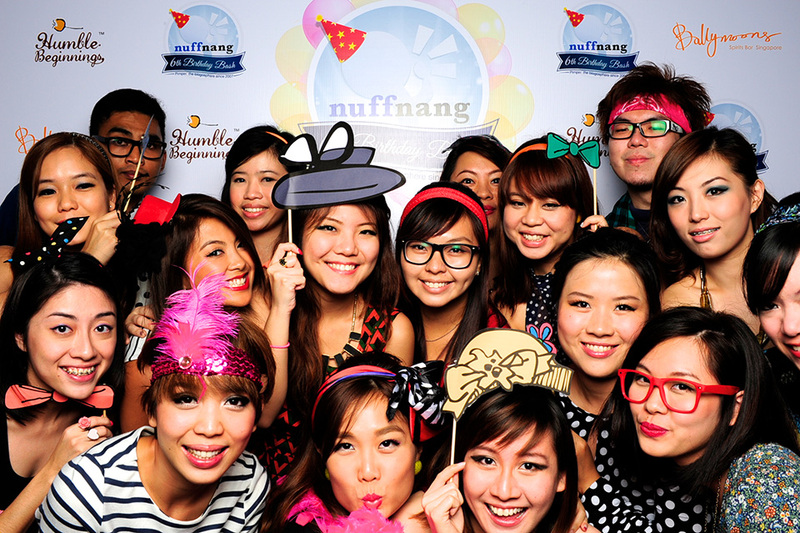 We celebrated Nuffnang’s 6th Birthday on 27th February! The Nuffies went to the Ballymoons in the afternoon to prepare for the night! 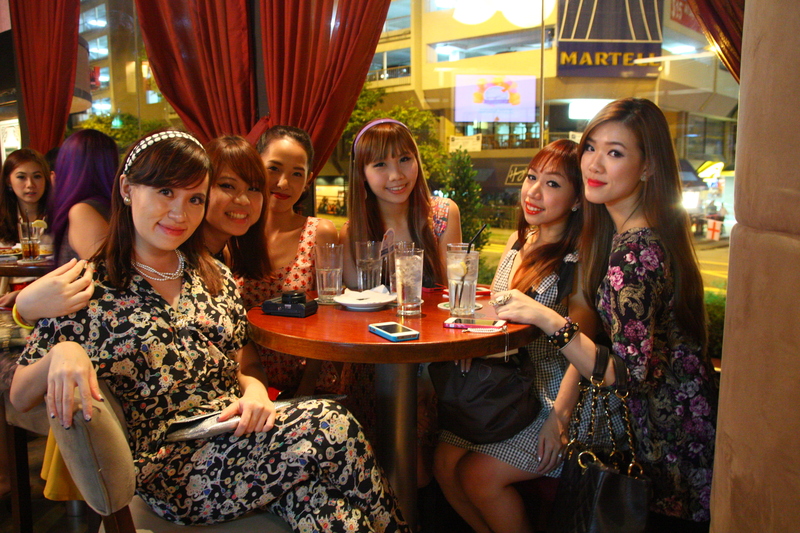 As the theme was “Sixties”, each and every one of us was trying to come up with an outfit that will best suit the theme! 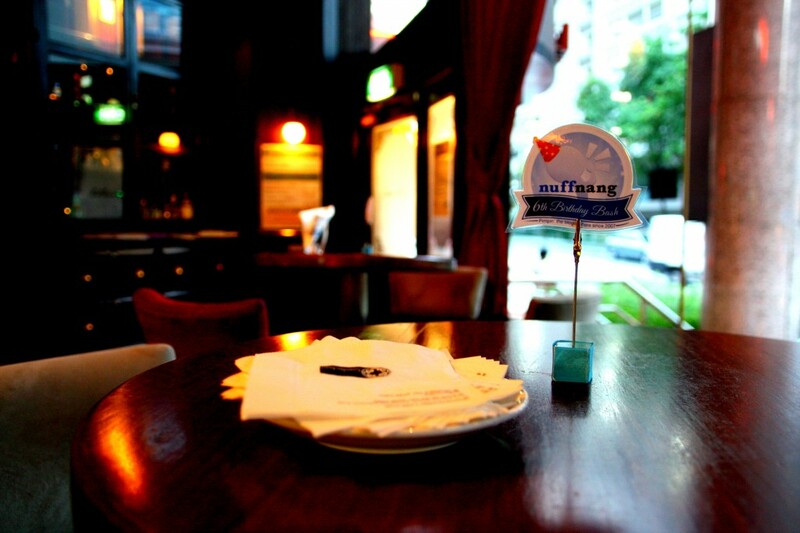 Here’s a picture of our cozy venue! 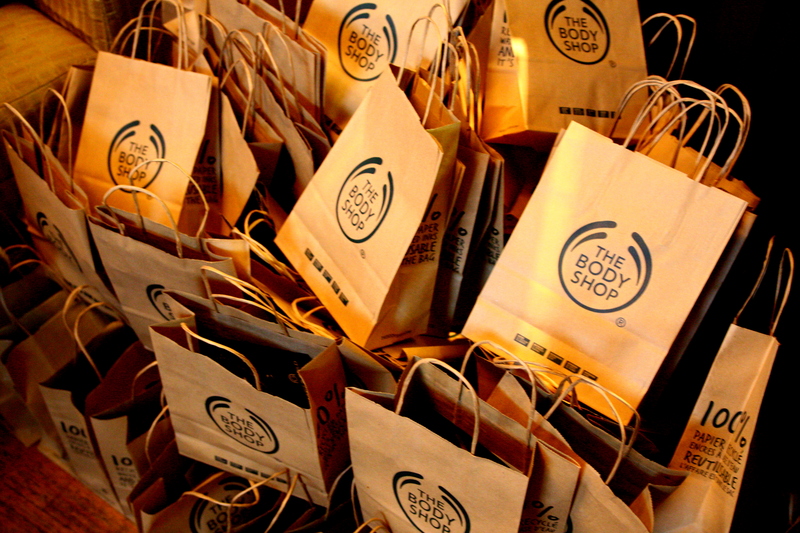 The Nuffies were busy preparing the door gifts thanks to The Body Shop! 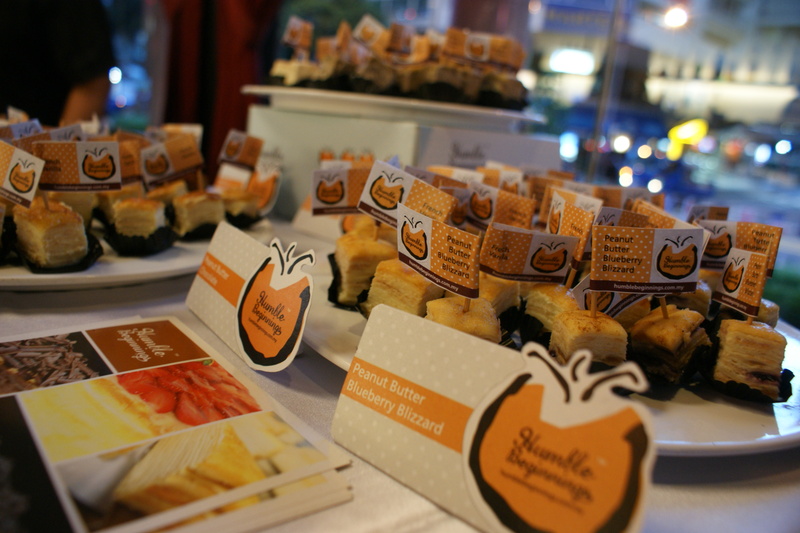 Great mille crepe from Humble Beginnings for our guests! 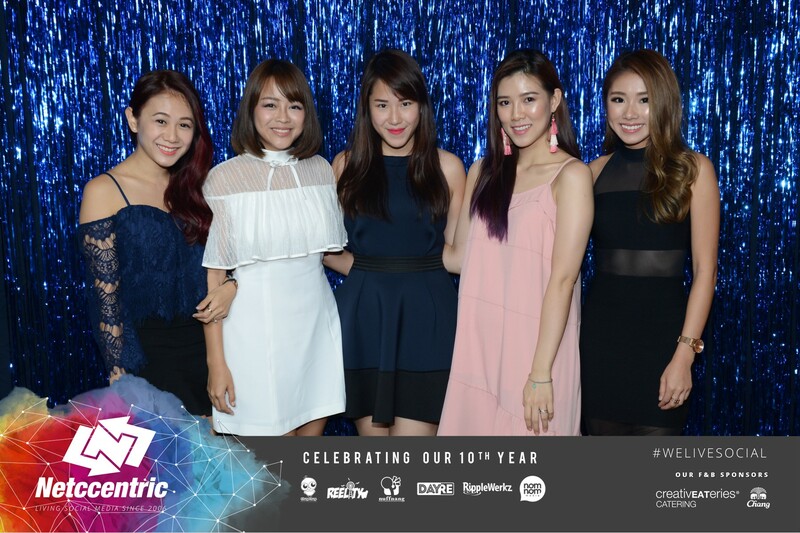 Thankfully, we had awesome food, performances and activities lined up for that night too! 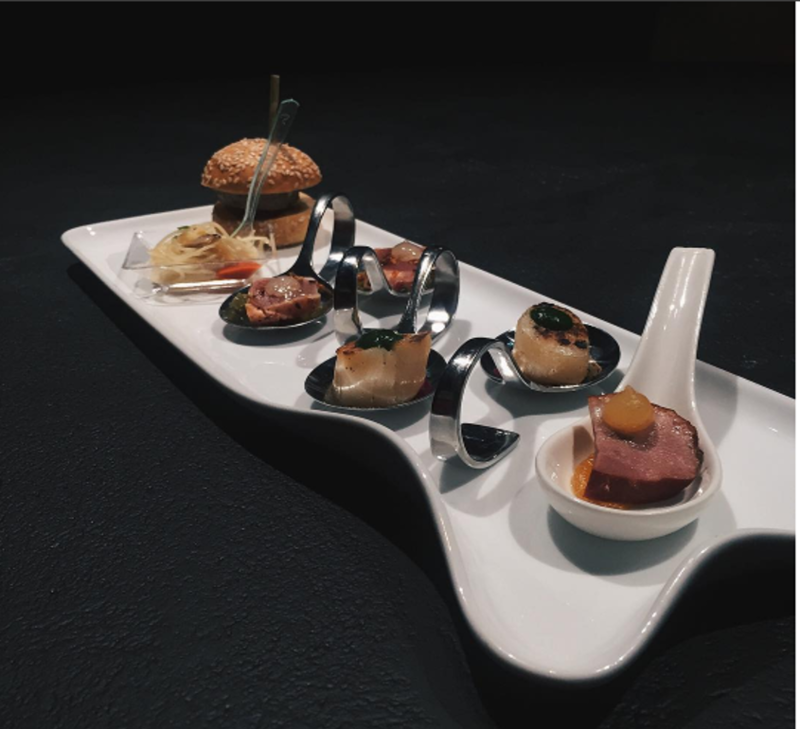 Shall let the pictures do the talking! 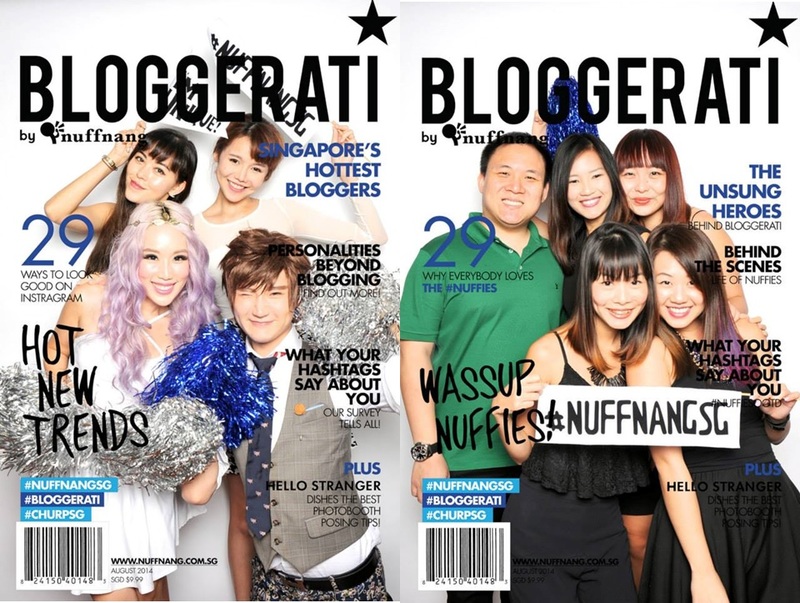 Our team also came up with a mini skit to imitate some bloggers! 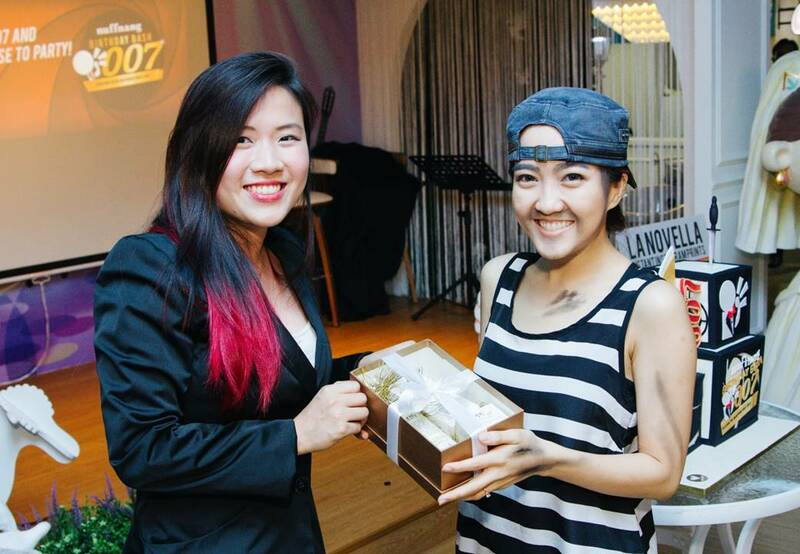 Winners got a watch sponsored by Aries Gold! 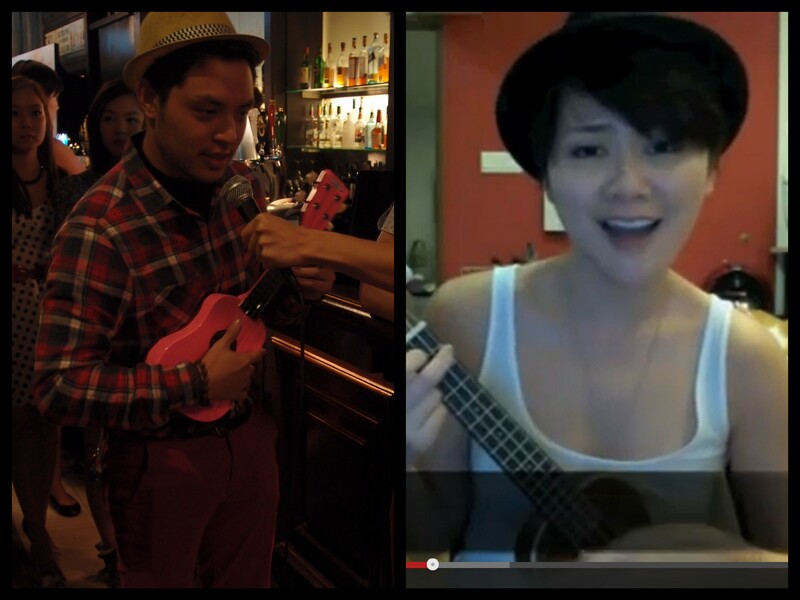 What do you think of their imitations? 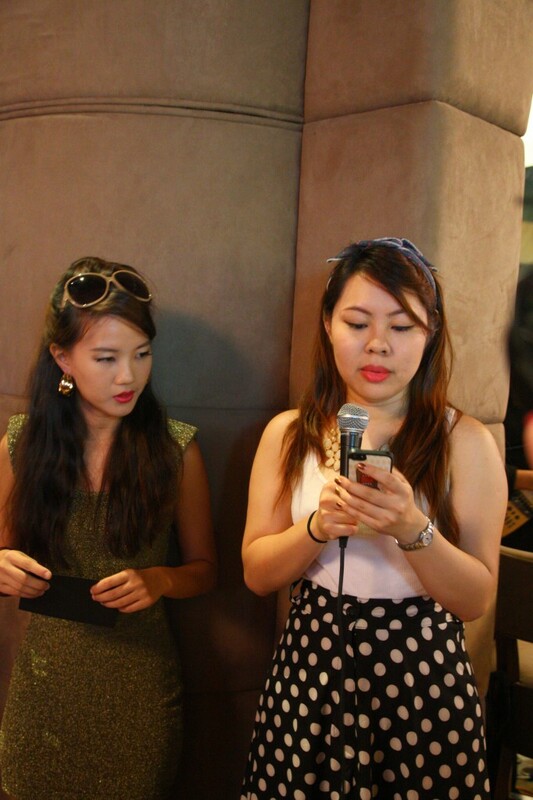 Everyone was cracked up by the hilarious imitations by the emcees! As Nuffnang is a close-knitted blogging community, we thought that it would be good to give some form of recognition to various bloggers for their cute personalities! We designed and did a mini prize presentation too! Here are some groups shots taken that night! 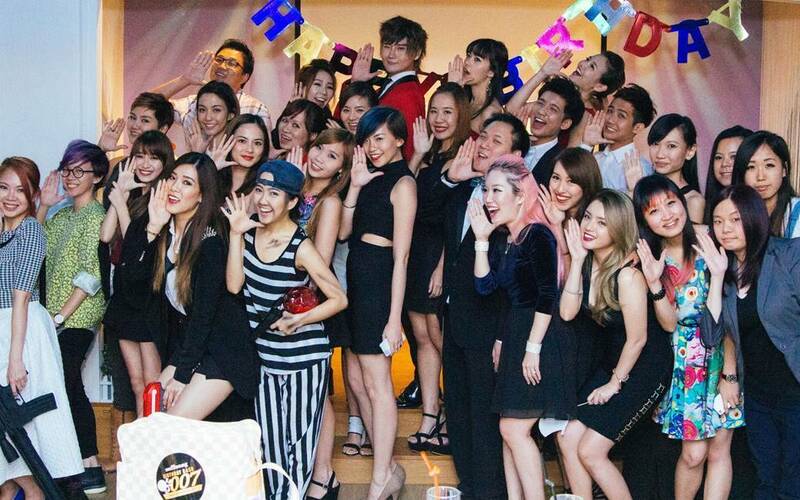 All in all, we hope that everyone enjoyed that night as much as we did! 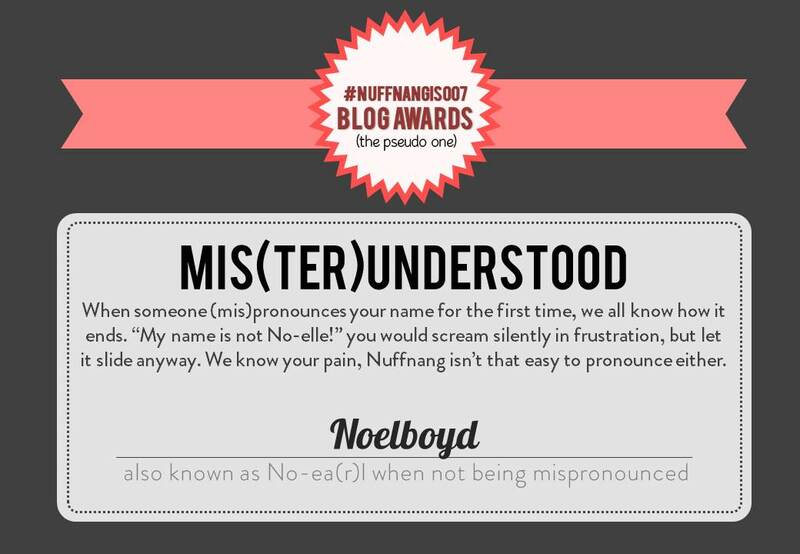 Nuffnang will strive and continue to grow! 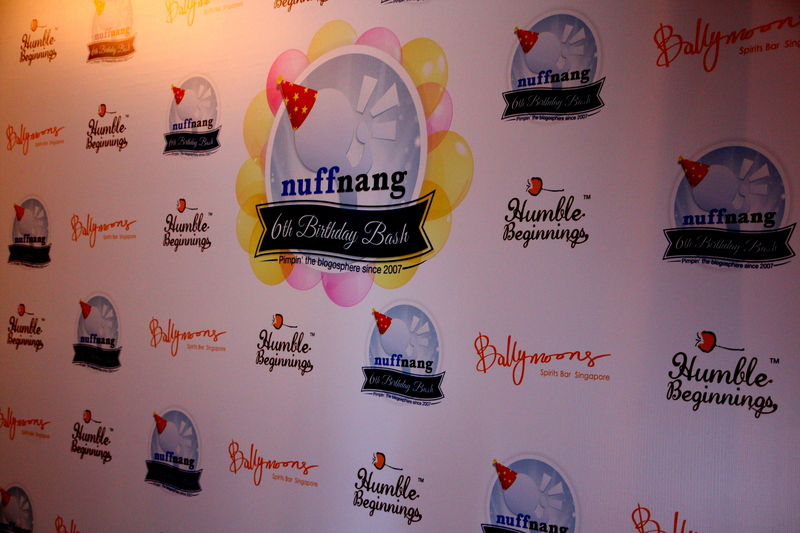 Thank you all for your support and we hope to see you all at future Nuffnang events! 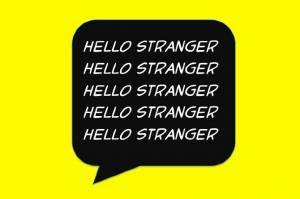 Thank you Hello Stranger for sponsoring our Photobooth! 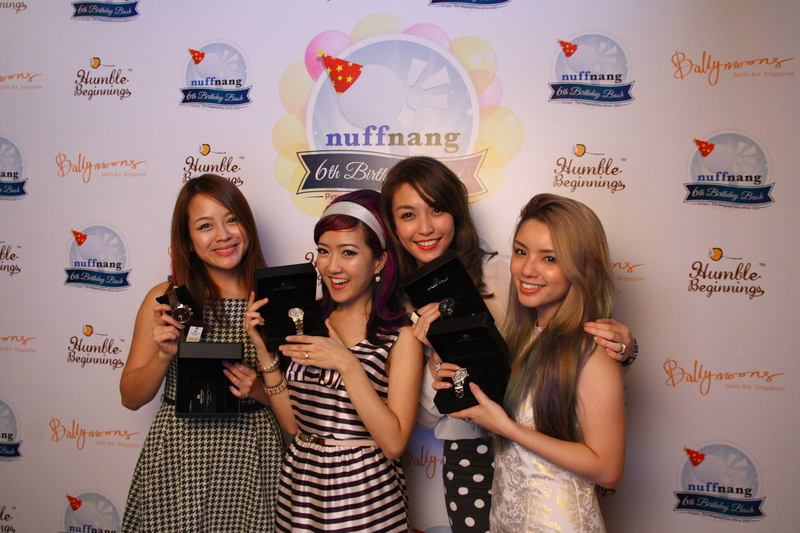 You can go to: Nuffnang’s Photos to download high res photos for the night! 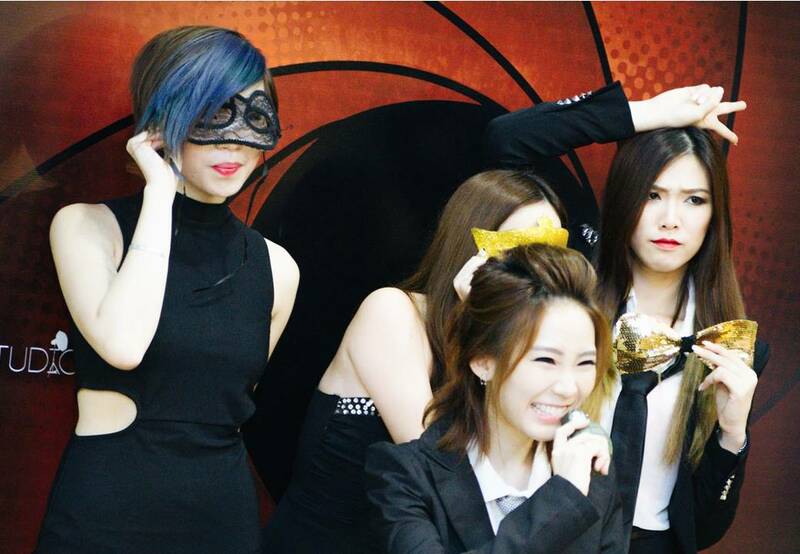 Do go to our facebook albums to take a look too! 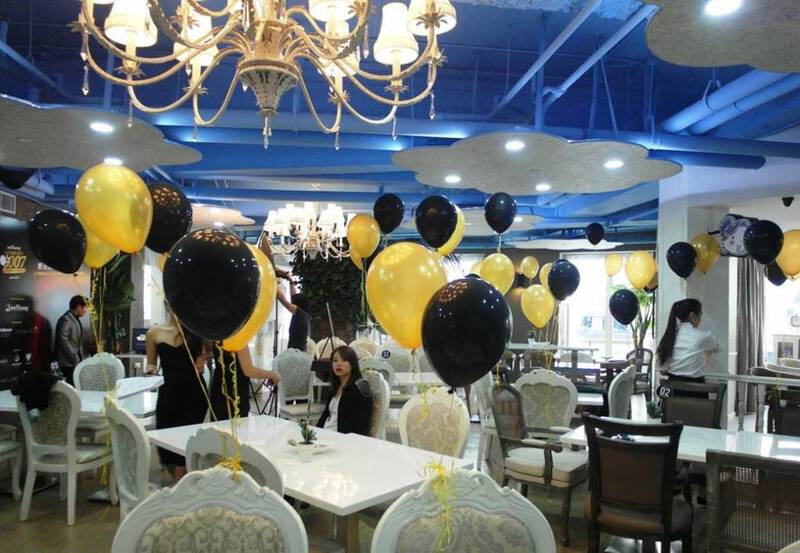 Lastly, thank you Ballymoons for sponsoring food and venue for the night!